Secluded, stunning and steeped in wildlife and history, the Galápagos Islands take all that we love about Latin American travel and condense it into an archipelago that escapes words. With that in mind, we’ve devised this nine-night sojourn in the south pacific to give you a true taste of these inspiring isles. Starting with a two-night crash course in Ecuador’s enigmatic capital, you’ll discover the secrets of Quito before being whisked off for a seven-night cruise across the world’s most historically poignant islands. Your dream adventure starts in Quito, where you’ll experience the Ecuadorian pulse with a two-night stay at Casa Gangotena; a beautiful bolthole that has Ecuador’s capital right on its doorstep. Get your bearings on an immersive city tour that delves into the cultural fabric of Quito. Your day will start at the UNESCO protected Independence Square, sauntering past rows of colonial charmers, marvelling at regal palaces and visiting the Metropolitan Cathedral of Quito to discover the city’s religious and architectural heritage. When the hunger pangs strike, slink off down a quaint side street for some mouth-watering street food, or settle down at a local restaurant and discover the city’s gourmet restaurant and wine scene. Famed for the production of silky, indulgent chocolate, your city tour will end with a trip to an artisan producer, where you can craft your own cocoa creation to end your day on a sweet note. After your time in Quito, it’s time to skip across to the gorgeous Galápagos. After a swift 2 hour flight you’ll arrive on Baltra Island; the largest of the isles and the gateway to the charms of this unique archipelago. Your feet won’t touch the ground for long though, and before you know it you’ll be whisked off on your next adventure; a seven-day cruise of seafaring luxury. After kicking off your shoes and reclining on deck, the palpable tranquillity of the islands will embrace you with an otherworldly sense of relaxation …welcome to paradise. The next seven days are all about discovering the islands that transformed our understanding of life on earth. 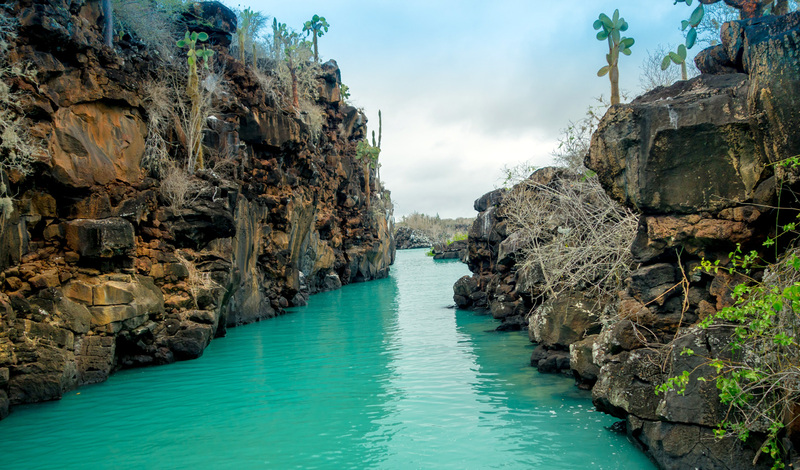 Each of the 13 isles has its own unique character, from the eclectic inland wildlife of Santa Cruz to the bursting volcanic cones of Floreana and the porcelain shores of Espanola, and with your luxurious yacht as the perfect base, there’s no better way to dive into the rustic heart of the archipelago. One day you can trek to the molten peak of the Sierra Negra volcano, and the next you can swim with sea lions just off-deck, before searching for land iguanas and giant tortoises on Sante Fe or simply basking in the equatorial sunshine. For those looking to tread lightly and get involved in the conservation of these stunning islands, we can even arrange for you to follow in the footsteps of Darwin himself by lending a hand to one of the initiatives run by the researchers at the Charles Darwin Research Centre on Santa Cruz. 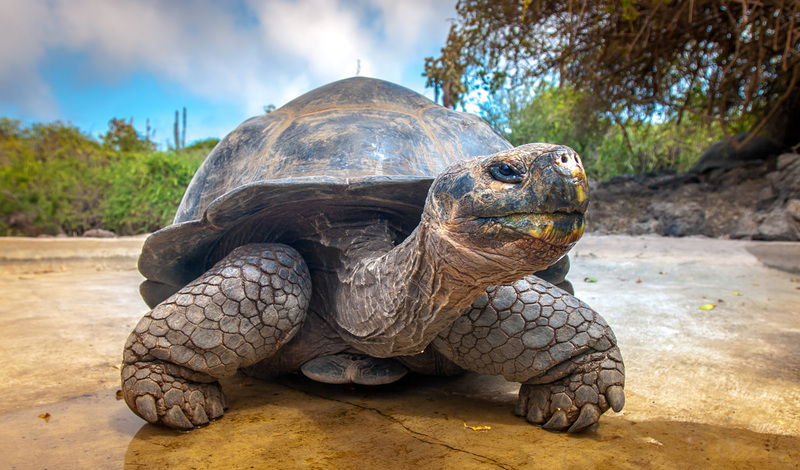 Equally as enchanting as the wildlife and scenery, the locals of the Galápagos are some of the most interesting and friendly we’ve come across during our travels, and they’re also great storytellers who can’t wait to spill ancient secrets and insider-knowledge of Darwin’s famed islands. After seven days of sundowners and snorkelling, it’s time to return to reality with a 2-hour flight to Guayaquil on mainland Ecuador before boarding your round trip home. And though all good things must come to an end, what we love about the Galápagos is that their beauty and mystery will remain etched in your memory long after you leave their embrace.